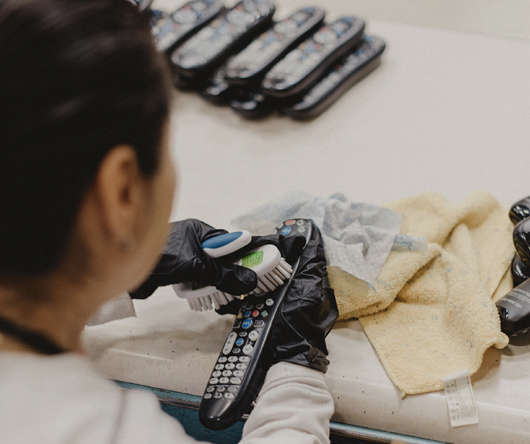 When you hire the Goodwill Custodial Service Team, your facility is served by a fully trained, pre-screened crew, supervised by our onsite project manager. We develop a customized scope of work and maintain it to exacting standards. You get sparkling results (in compliance with state and federal environmental laws, if needed). And you’re in good company. Goodwill is the trusted provider of complete contract services for public and private firms of all sizes throughout Orange County—from small offices to facilities of more than 1,000,000 square feet. We can also assist with landscaping, window-washing and more. Join the businesses that are already receiving the highest-quality custodial services delivered with an unrivaled spirit of pride and professionalism. At the same time, you’ll be helping adults with disabilities gain employment and independence. For more than 25 years, hundreds of local businesses have depended on Goodwill's Packaging and Assembly services. Customers in manufacturing, hospitality, marketing and other industries rely on our individualized services at competitive prices, so they can minimize their own operating costs. Goodwill of Orange County is insured for product liability, registered with the U.S. Food & Drug Administration as a Contract Manufacturer/Repackager, and we’re a member of the Institute of Packaging Professionals. Our experienced workforce can come to your site, or your project can be completed at our full-service warehouse and production facilities. Services are tailored to your needs, including special projects, rush orders, seasonal peaks and re-work projects. If you require an end-to-end solution, we can warehouse your products and provide mechanical/electronic equipment services, detailed hand assembly, and shipping and receiving. Goodwill’s project managers can free up your staff and internal resources. What’s more, when you hire Goodwill, your business is supporting our community by keeping jobs in Orange County. Contact us today for details.